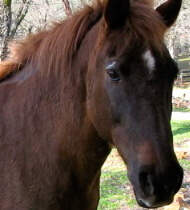 OCTOBER BUCKET FUND: So many mustangs were rounded up this week… WE CAN HELP these 6! 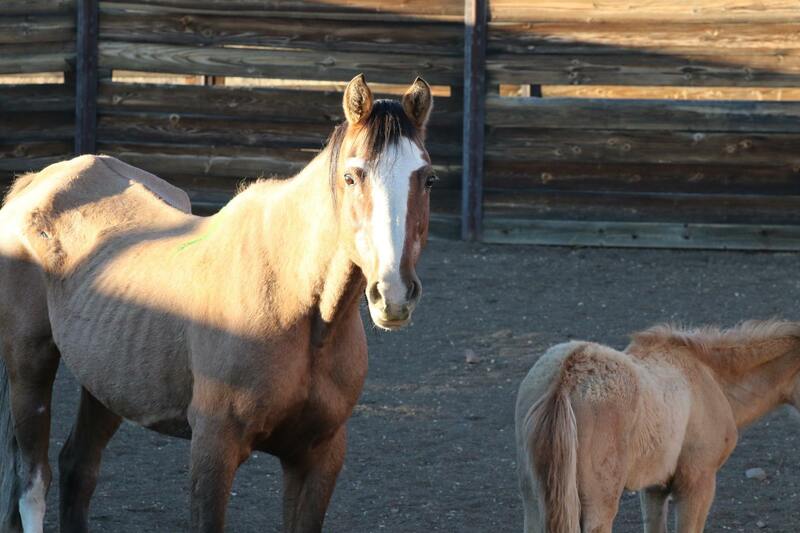 A Skinny, old, and proud mustang mare and her foal PLUS 4 malnourished orphan mustang babies! 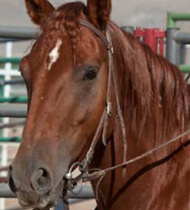 This has been a bad week for the mustangs… there were several roundups that no one could stop. 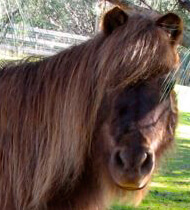 BUT, in the sea of bad news, WE CAN HELP 6 OF THESE NEWLY ROUNDED UP MUSTANGS – DIRECTLY. A very old (24) , skinny and proud mustang mare with her new foal, plus 4 orphaned foals who need extra care and stitches. 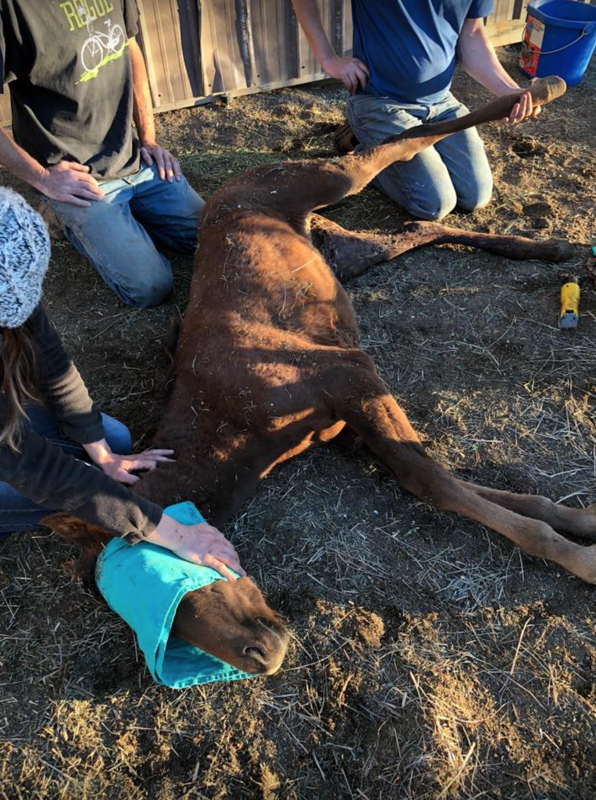 Evidently, one of the orphaned foals (we don’t know how/why they were orphaned) hurt herself on a tpost or junipers… but cut herself to the bone. 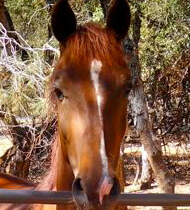 If Skydog Sanctuary hadn’t taken this old mare or the four orphan babies, I would hate to think how they would have fared in the holding pens. PLEASE let’s right this wrong. 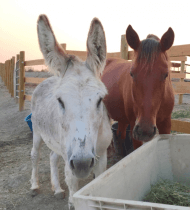 Let’s help this old mare and her foal and let’s help these innocent, hungry and orphaned wild ones! 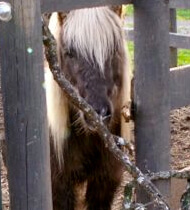 Sugar, the very injured filly. She must have straddled a t-post or a juniper bush during the round up. 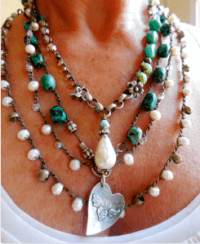 Her wounds were ‘to the bone’. 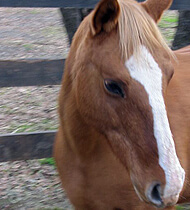 Sugar’s injuries were to the bone. Either she jumped a fence/tpost or went over a sharp bush during the round up. 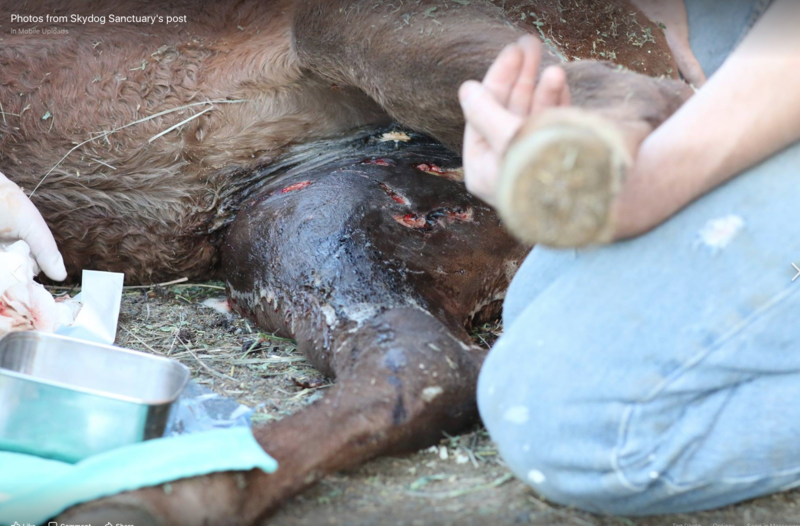 She has been treated and will have around the clock care to make sure these wounds heal. 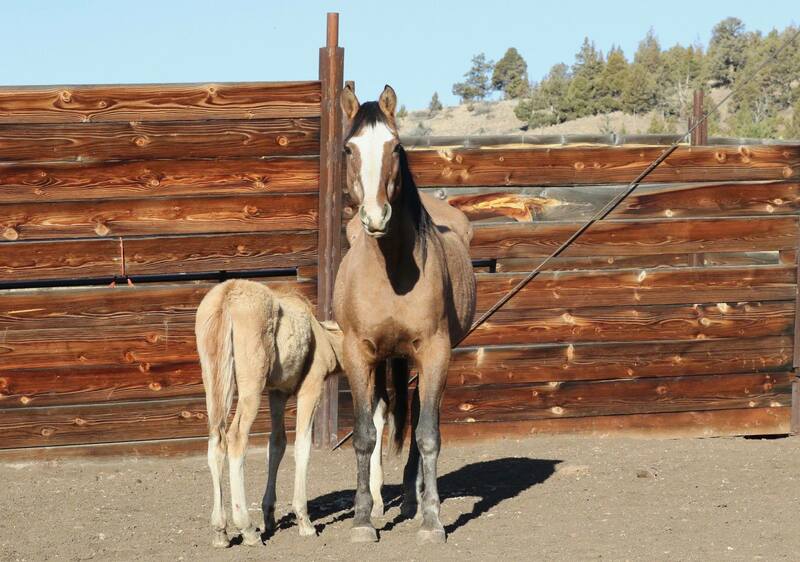 Newly rounded up, skinny, 24 year-old mustang mare and her foal. 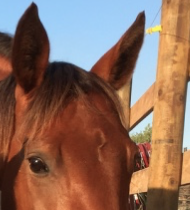 They’ve named the mare, “Grace”. Baby has a hernia that will need an operation. 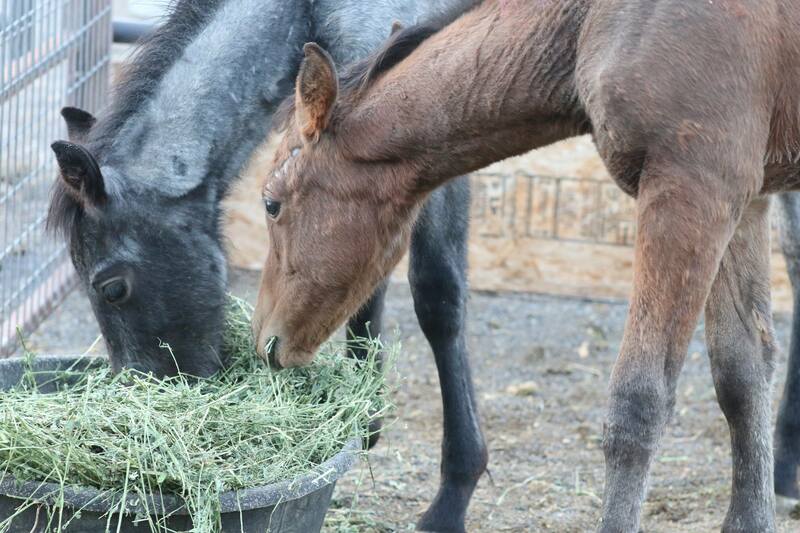 These horses were newly rounded up last week – and in the BLM holding facility in Burns, Or. 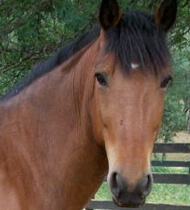 Grace, the older mare, had been captured when she was 2, so she had that brand which identified her for this round up. Now, she is 24. 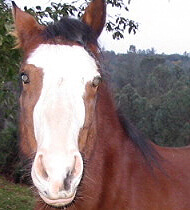 This mare has lived a long, free life. Thank horsegods for Skydog to shine grace on her and take her in at this late stage in her life. I doubt anyone would have adopted her… Grace’s baby has an umbilical hernia. She needs an operation. 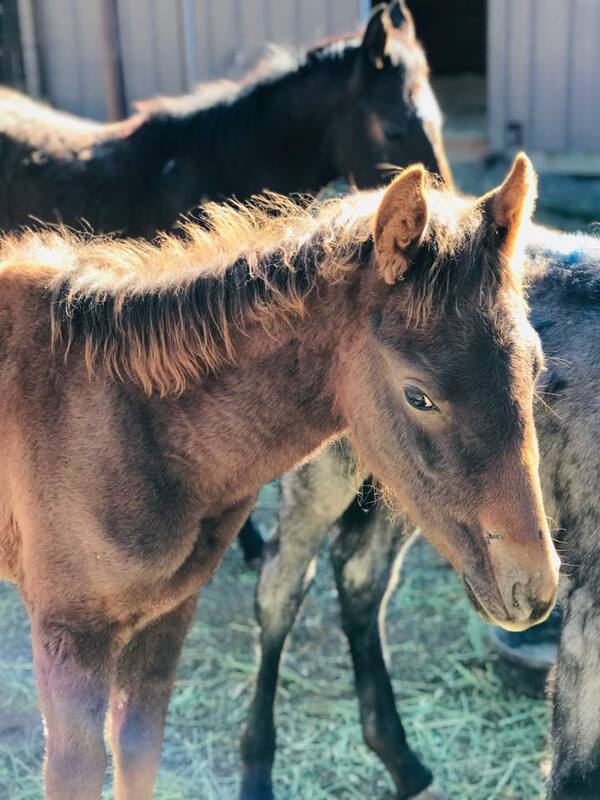 The 4 foals are orphans and there is no backstory. 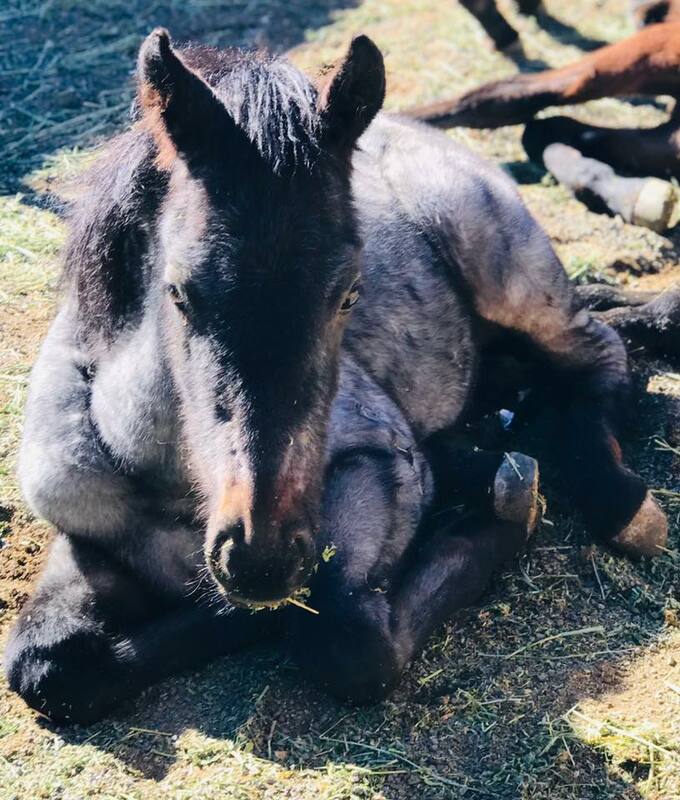 The Burns BLM asked Skydog to care for these orphaned babies. Their moms are no longer available. 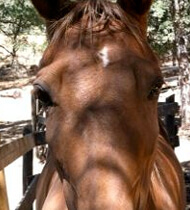 All of these foals are very young and all are in need of extra care, food, medical attention and love. Luckily, Skydog has around the clock attendees. This is Willow. She is the bossy one. This is “Two Spots” who they describe as the smallest and cheeky one. This is CoCo, the tallest and the leader. 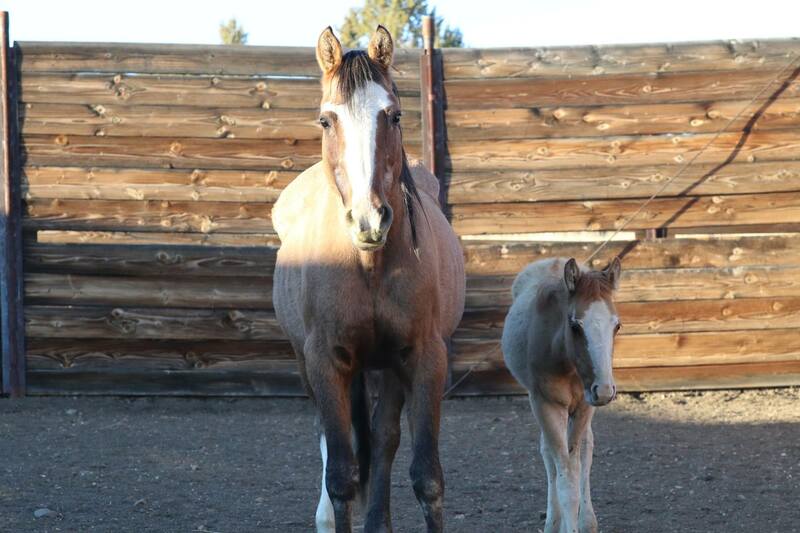 And this is proud and beautiful Grace with her mini-me filly. Grace is skinny, old and regal. 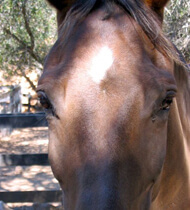 I love old mares. Look at that face. 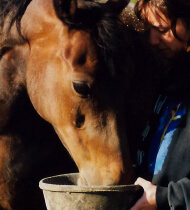 Giving all of her food and strength to her filly. PLEASE let’s help these 6 – of the hundreds who have been rounded up this week. 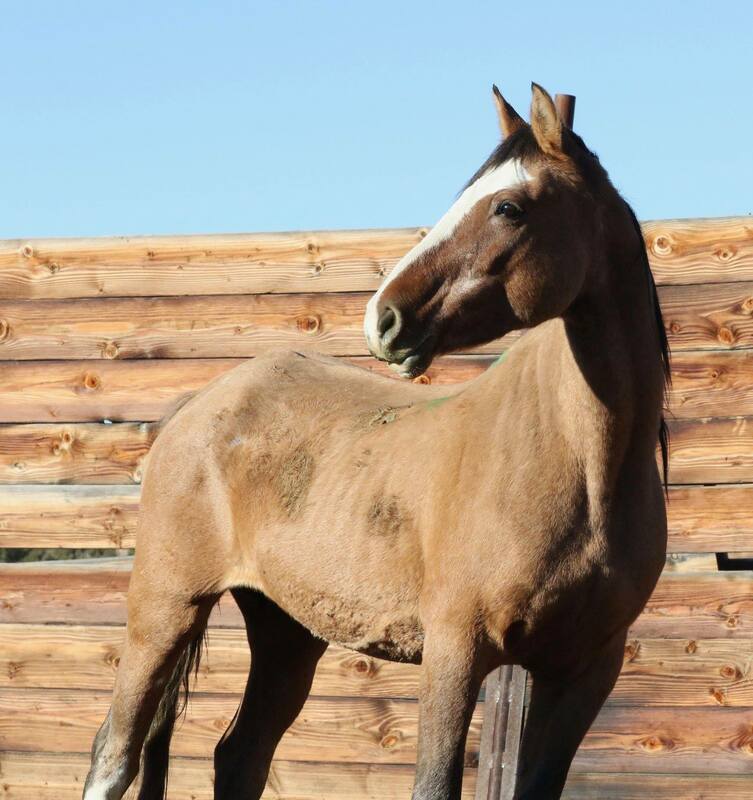 Let’s help these strong mustang orphans live. 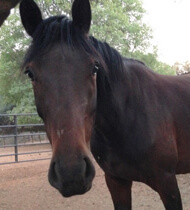 Let’s help this glorious old mare nurse her baby and maintain her health and vitality for as long as she is able. 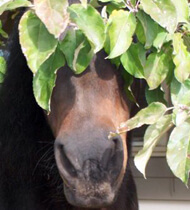 Let’s help those who are helping these horse who have just lost their freedom. 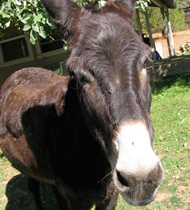 All donations are 100% tax deductible! Thank you in advance. If you receive this post via email, click here to donate!THANK YOU!! Click here to watch the donation thermometer rise. AN UPDATE ON OUR MINIS! YAY! The check came for the minis! THESE GUYS ARE STILL AVAILABLE FOR ADOPTION!